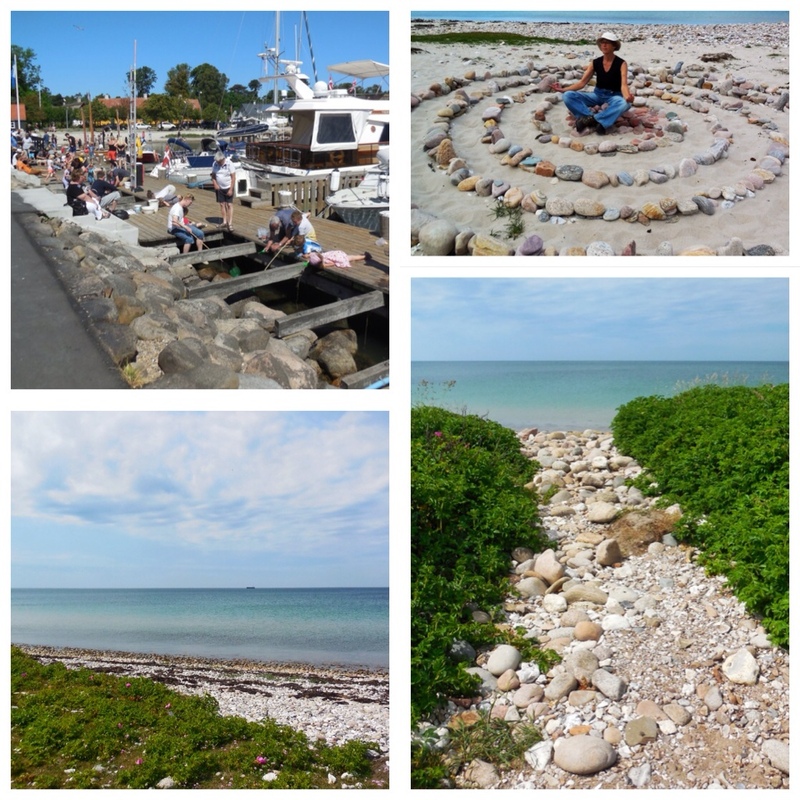 Saturday we left the city life behind to spend several days a short drive north of Copenhagen. 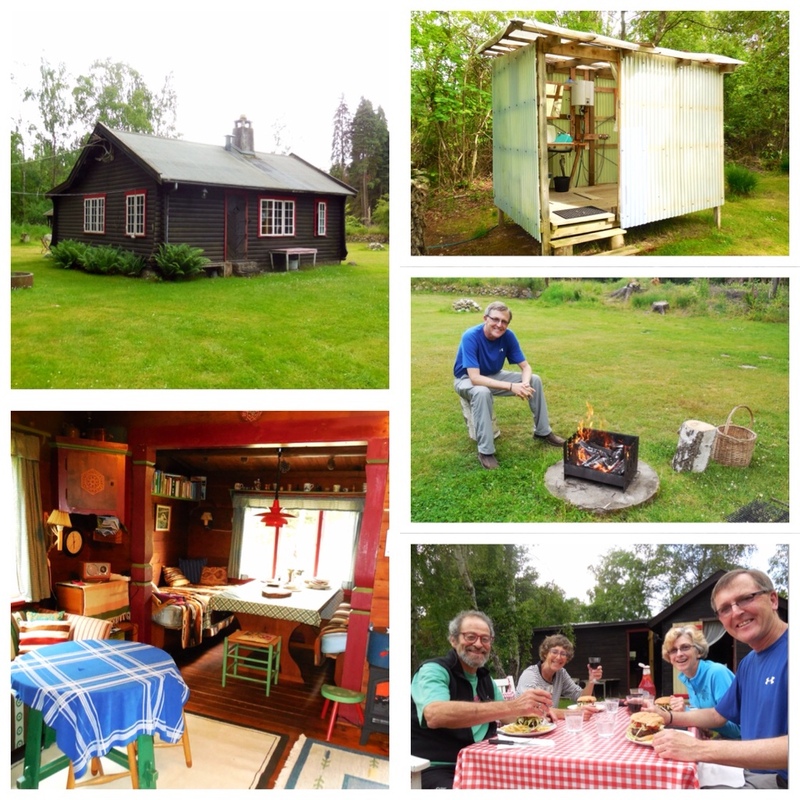 Gitta had promised us a very different Danish experience at the home her family has summered in since 1935. We knew it was a special place because when she talked about it her eyes lit up and she couldn't keep a smile off her face. We also knew the cabin remained (mostly) true to the era in which it was built. Reg and I weren't too clear about whether we'd have electricity, a hot shower or even a flush toilet…but travel is about experiencing life, so we packed a small bag and put our trust in our friends. The main house has two bunk rooms, a living/eating area, a kitchen with cold running water and (we were happy to find) a flush toilet room. There are also two outbuildings that serve as bunk rooms, so the property can host quite a crowd. The shower house is the only source of hot water, but boy is it hot! It is there that James, the official dish washer, (he likes the job and one has to be quick to beat him to it!) washed dishes and we all took turns showering. The main cabin sits in the center of a a grassy expanse. The shower room sits along the perimeter. Reg guards the BBQ and we enjoy an all American meal of burgers and fries. A combination eating/reading/sleeping nook inside the main cabin. Gray skies and rain showers drifted away Monday, leaving us beautifully warm weather. The endless blue of the skies and water pulled us away from the green, woodsy feel of the cabin for a morning wander down by the harbor. Today is the end of a three-day holiday weekend in Denmark and families were out in force, on foot and bicycle, enjoying the last bit of surf, sand and sun. Families hunt for crabs through cutout spots on the boardwalk. Gitta finds a peaceful meditation spot. A rocky pathway leads to the shoreline. Wow! This looks absolutely wonderful.